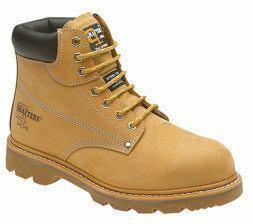 Grafters Nubuck leather safety toe cap boots. Traditional steel toe boots from Grafters. Classic sleek lines makes this a great looking boot.